In my last post I introduced the bodybuilding work of the Spirit. The church, as the body of Christ, is shaped and enlarged by the work of the Spirit through ordinary members of the body. This bodybuilding work of the Spirit is explained in Paul’s first letter to the Corinthians. Paul did not write about the gifts of the Spirit simply to provide basic instruction for the new believers in Corinth, however. He wrote because the Corinthian Christians there were at odds over their diverse experiences and interpretations of the Spirit’s power. Like all Christians, those in Corinth had received the indwelling presence of the Spirit when they first trusted Christ for salvation. By the Spirit, they had been generously blessed with lots of spiritual manifestations, or at least some of the Corinthians had been so blessed (1 Cor 1:4-7). In particular, certain people in the congregation were speaking in tongues (unknown languages). This may not have been a problem, except for the way the tongues-speakers were behaving. Not only did they interrupt the Christian gatherings with their unintelligible speech, but also they boasted of their spiritual prowess, claiming to speak in the language of heaven itself (1 Cor 13:1; 14:6-19). They even criticized other brothers and sisters who did not adopt their highfalutin practices, denigrating their spiritual maturity and questioning their value to the church (1 Cor 12:14-17). Those who thought of themselves as super-spiritual used their supernatural manifestations for their own selfish gain, to the detriment of the Christian community. From Paul’s point of view, these folk got it all wrong–or almost all wrong. Speaking in tongues was not wrong, per se, as Paul would explain in 1 Corinthians 14. In fact, he claimed to speak in tongues more than any of the Corinthians (1 Cor 14:18). But their understanding of the purpose and significance of this experience was completely off base. Its effect in the community was precisely opposite from what the Holy Spirit intended. So as he wrote 1 Corinthians, Paul added a substantial discussion of spiritual empowerment to his letter, the chapters we identify as 1 Corinthians 12-14. Ironically, we have seen what might be called an outbreak of “Corinthianism” in the last fifty years. Positively, millions of Christians began to discover the power of the Spirit through spiritual gifts. Negative, this often caused division in the church, sometimes because the “spiritual” folk focused too much attention on speaking in tongues, just like the Corinthians had done 1900 years earlier. Let me supply a bit of history that places our conversation of spiritual gifts in context. Awareness of the Holy Spirit has grown among Christians during the last several decades, in part because of the prominence of Pentecostal and so-called “charismatic” expressions of Christianity. Pentecostalism takes its name from the Jewish festival of Pentecost, during which the Holy Spirit was first poured out upon the earliest followers of Jesus (Acts 2). Sadly, the charismatic presence in churches often led to conflict, partly for theological reasons, partly because of divergent worship preferences, and mostly because Christians both for and against the charismatics failed to exercise patience, humility, and Christ-like love. The charismatics, whose experience of the Holy Spirit was often associated with speaking in tongues, generally made this particular gift the most important of all. Sometimes they even tried to pressure other Christians into speaking in tongues, a strategy that was neither loving nor productive nor consistent with a biblical theology of the Spirit. Christians who didn’t speak in tongues felt rightly denigrated, and responded not only with theological critique, but often by rejecting both the charismatics and the spiritual experiences they were having. In the last couple of decades, however, unity among “charismatic” and “non-charismatic” Christians has been substantially restored. Many who have had dramatic encounters with the Holy Spirit have revised their theology to reflect biblical teaching rather than their experiences, thus minimizing theological objections to their understanding of the Spirit. Moreover, formerly fervent opponents of “charismania” have realized that their own theological commitments were sometimes built upon their limited experience of the Spirit, rather than biblical teaching about the Spirit’s presence and power. Some differences of theology and experience of the Spirit still remain, but these are less divisive than they were since many Christians have rightly emphasized their true unity in Christ. In my view, the most important corrective to the “Corinthianism” of the last fifty years and the negative response it spawned has come from a careful study of the biblical teaching on spiritual gifts, especially as it’s found in 1 Corinthians 12-14. So, to this text we will return in my next post in this series. A Baptist Minister and his wife decided that they needed a dog. They went to a kennel and asked if they had a dog that would match the needs of their ministry. The kennel owner said that she did have a dog that should meet their needs. She brought out the dog. She commanded to the dog: “Fetch me a Bible”. The dog went to the bookcase and stood on its hind legs and gently took down a Bible with its mouth and placed it on the floor. The dog then began pawing the Bible until it reached John 3:16. The Minister was very excited about what this dog could do. He then wondered if the dog could perform the normal dog tricks. The Minister than asked the dog: “Heal”! The dog then stood on its hind legs and placed its paw on the head of the Minister. The Minister exclaimed: “This dog does not meet our needs”. As a Baptist Minister, I can not own a “ CHARISMATIC ” dog. I’ve never found “speaking in tongues” to be particularly “Pentecostal”. After all, on Pentecost Peter and the others spoke in tongues in order that they might be understood by all the people. What we get now is unintelligible gibberish. Why is that a spiritual gift? Whom does it edify? Whom does it glorify? I’d be much more impressed if a Pentecostal suddenly could speak, or even understand, Mandarin. While the “tongues” spoken on Pentecost do indeed seem to have been understood by all, when the apostle Paul talks about the gift of speaking in tongues, it seems that not everyone could understand, and he argued that there needed to be an interpreter present. Why there seems to be a discrepancy is for other people to determine. It’s certainly beyond me. 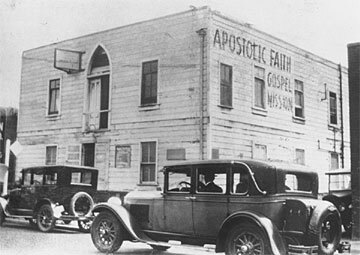 Incidentally, people wanting to learn more about the Azusa Street revival and the origins of Pentecostalism might consider reading The Azusa Street Mission and Revival by Cecil M. Robeck. 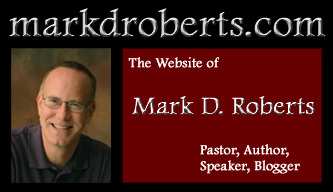 Dr. Robeck is a professor at Fuller (where I work) and knows more about this period of history than just about anyone.